As winter approaches our make-up habits change. Well at least mine do. This winter I have been experimenting more and more with skin tone rather than just playing about with lip colour. Which makes a change as I always find my self becoming experimental with eye make-up and lipstick during the winter month but I don’t always give my face the rest of the well-needed attention. One product that I never really used to wear was blusher, I think part of this is due to the scary thought of putting something quite pink on my skin in fear of making it appear more pinkish in tone. 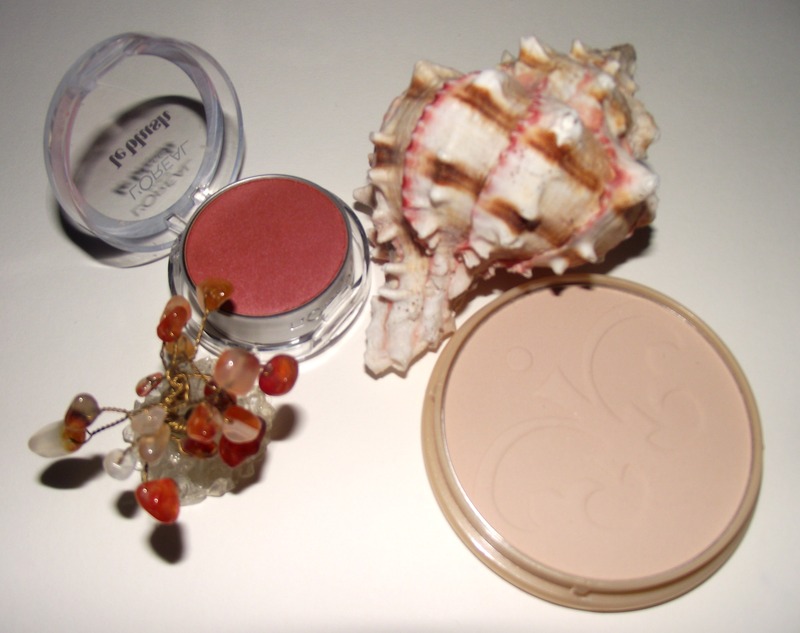 But my fears are behind me with L’Oreal le blush in Rosewood which is the perfect warm tone for winter as I often find my pale complexion lacking the lift of the sun-kissed skin. This adds a warm rose glow to the skin which gives that (for lack of better description) loved-up glow. Another product I mind have been slow on the up-take with is powder, I never really got into it/saw the point since foundation gives a dewier finish. However I recently learnt that powder is great for setting foundation with, which solves the night-long problem of starting the night with foundation and finishing it with lack-off. I choose this Stay Matte powder in peach glow (oo3) by Rimmel as I wanted a powder that would add a bit of warmth to the skin and although it barely makes any difference to the finish of my foundation, I love the staying power that it adds. I am still experimenting with achieving my ‘signature’ make-up look but I feel if I bring it back to basic’s I can then work into it with other products to nail my everyday make-up look.